Delta has a strong loyalty program where you can earn miles toward future flights. The best part is that you don't even need to fly to rack up the miles. Simply follow these insider tips and you'll be able to redeem an award flight before you know it. Read on for all the different ways to earn SkyMiles. Before you take any of these steps, you need a place to store all your miles. Sign up for a Delta SkyMiles account. This is completely free and you don't need a special credit card. 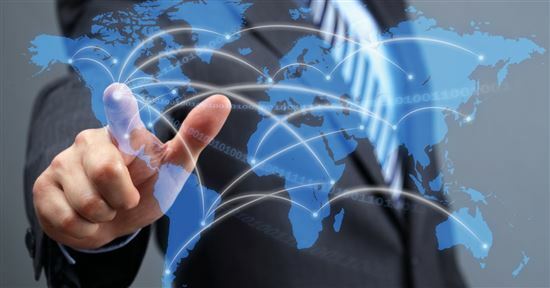 You will need your frequent flyer number to enroll in the various partner programs. A Delta SkyMiles credit card is the fastest way to earn miles without flying. 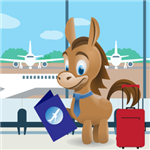 Delta credit cards are issued by American Express, a CreditDonkey partner. You can quickly amass a lot of miles with just the bonus miles. Did you know: Delta purchases include: Delta flights purchased through Delta, baggage fees, Sky Club lounge passes, in-flight purchases, and Delta gift cards. 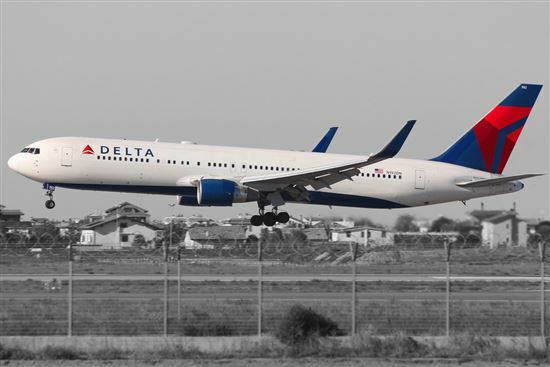 If you don't fly Delta too often, go for the Blue Delta SkyMiles. 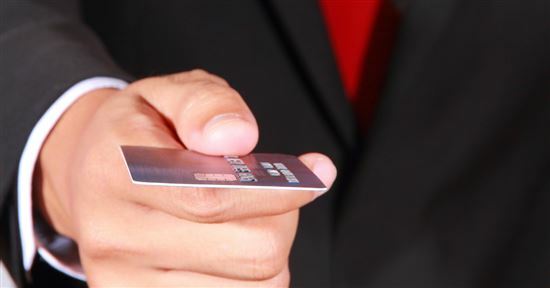 It's a Delta credit card with no annual fee (See Rates & Fees). Plus, you can earn 2 miles per dollar at U.S. restaurants. If you are a frequent traveler, look into the Gold Delta SkyMiles® ($0 introductory annual fee for the first year, then $95) (See Rates & Fees). You get perks like Main Cabin 1 priority boarding and a free checked bag. Delta Platinum ($195 annual fee) and Delta Reserve ($450 annual fee) cards let you earn Medallion Qualification Miles (MQM), which allow you to reach the varying levels of Medallion Status. In order to achieve Silver Medallion Status, you need to earn 25,000 MQMs or make $25,000 or more in Eligible Purchases during the calendar year with your eligible Delta credit card. Medallion miles can buy you benefits like seat upgrades. The Platinum and Delta Reserve also give you a round-trip companion certificate each year. Likewise, Delta also offers 3 business cards with similar perks. Tip: Did you know you can even get a Sun Trust Delta SkyMiles® Debit Card? It's a great alternative if you don't want another credit card. AMEX has a partnership with Delta. 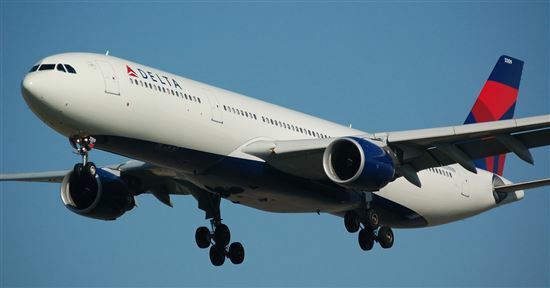 It offers several credit cards that allow you to transfer reward points into Delta SkyMiles. Amex EveryDay Preferred offers 15,000 Membership Rewards® points if you spend $1,000 on purchases within the first three months of opening your new card account. This card earns 3x points at U.S. supermarkets (on up to $6,000/year in purchases, then 1x), 2x points at U.S. gas stations, and 1x points on other purchases. There is a 0% intro APR for 12 months on purchases and balance transfers, then a variable rate, currently 15.24% to 25.24%. There is a $95 annual fee. Look: if you make 30 or more purchases with this card in a billing period, you will get 50% more points on those purchases (less returns and credits). Terms apply. You get points on everyday purchases. All you have to do is spend and then transfer your points into SkyMiles at a 1:1 ratio. American Express cards are great for those who fly frequently and on different airline carriers. Their Membership Rewards program allows you to transfer miles to 17 airline partners, including Delta, JetBlue, and Hawaiian Airlines. Medallion status is reached based on how often you fly, the distance of the flights, and how much you spend. You will automatically earn towards Medallion status when you join SkyMiles and fly with Delta and its partners. 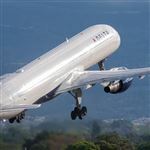 You may even be able to earn miles on exception fares, which are unpublished fares that come from travel agents, vacation packages or other third-parties, depending on the fare class. In this case, a percentage of bonus miles is better than nothing! How many Delta miles does it take to get a free flight? Delta does not publish an award chart. It has a cost-based program, so the number of miles vary flight to flight. A short haul flight (like from Los Angeles to Las Vegas) can be as low as 5,000 miles. On the other hand, a longer distance domestic flight can be as high as 25,000 miles one-way on certain days. Award flights on partner airlines need to be booked at least a few days out, as last-minute availability (within 24-48 hours prior to departure) is blocked out. * The airlines marked with an asterisk indicate that they allow you to earn 100% MQMs on their economy flights. Learn more about Medallion Status here. 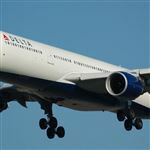 Missing Delta SkyMiles: If you took a flight and don't see the miles in your account, you can claim them retroactively. You have 9 months from the date of your flight to claim the miles. To do so, you need your SkyMiles number and your flight ticket number (from your boarding pass or receipt). 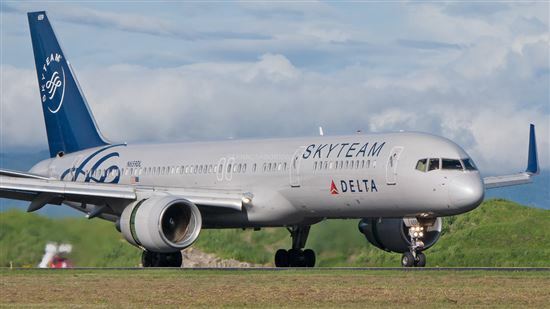 You can also claim miles for flights taken with any SkyTeam partners. Online shopping addicts will rejoice at Delta's convenient SkyMiles Shopping portal. Sign up for free with your SkyMiles membership number. Then use the portal to search and buy items from hundreds of popular stores. You will earn bonus miles for every dollar spent. To get the best deal, take advantage of the special offers that Delta posts. Offers are constantly changing, so be sure to stay updated here. You don't need a special credit card to shop through this portal. But if you do use a Delta credit card, you'll earn 1 SkyMile per dollar spent on top of the bonus points for using the portal. How much is 40,000 miles worth? Since Delta switched over to a cost-based award chart, we generally value each SkyMile to be worth around 1.4 cents a piece for domestic flights. So 40,000 miles would be worth a flight around $560. For international flights, the value varies. For example, you can find flights to Europe and Asia for less than 40,000 miles each way. Delta SkyMiles Dining makes it easy to earn miles just for eating out at restaurants. Join for free and register your credit cards. Then eat at a participating restaurant and pay with the card to receive bonus miles. As a sign-up bonus for new members, you can earn up to 3,000 bonus miles. You need to dine out 3 times within the first 30 days, and spend at least $30 each time. Then you must write an online review within 30 days of each restaurant visit. Once again, you don't need a specific credit card to join this program. But if you have a Delta credit card, you'll earn another 1x miles on your meals. Blue Delta cardholders earn an extra 2x miles at restaurants. If you like the convenience of a vacation package, Delta Vacations offers incredibly attractive offers. You have the opportunity to earn up to 7,500 bonus miles per person on eligible flight + hotel getaways. We recommend signing up to receive special offers by email. It's also possible to make individual hotel reservations and earn anywhere from 250-750 bonus miles per person at US & Canadian properties, or 1,000-3,000 bonus miles per person at overseas destinations. Furthermore, qualified car rentals from Alamo or National allow you to earn 500 bonus miles per booking. If you have a Delta SkyMiles credit card, you can earn double miles for every eligible dollar spent. For those who prefer cruising, SkyMiles Cruises makes it seamless to earn miles on your next cruise. You can earn at least 1,500 miles on any booking and up to 30,000 miles when you book a balcony or a suite stateroom. In addition, you can get massive savings and perks like onboard credit. Most of the time, the deals are about the same price if you were to book directly with the cruise line. Often, they're even slightly better due to the amenities that they extend. Delta has partnerships with all the top hotel brands. You can earn SkyMiles by staying with one of their hotel partners. 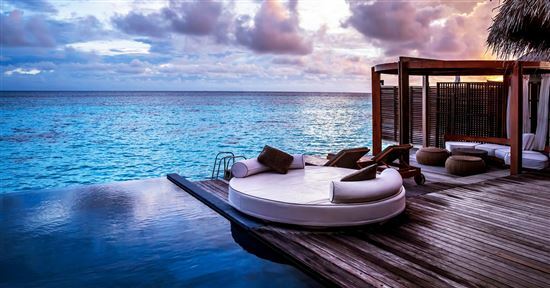 For example, the World of Hyatt will give you 500 SkyMiles for each eligible stay. Marriott gives you up to 2x miles per dollar, depending on the property. Check out the full list of hotels and offers on Delta's website. Delta has also teamed up with Airbnb to give you SkyMiles on stays. We love Airbnb as an alternative lodging option to hotels. For those who already have Airbnb accounts, you can earn 2x miles on all stays worldwide. If you want to become an Airbnb host, you can earn up to 25,000 SkyMiles when you reach earning tiers. Car rentals with Hertz, Alamo, Enterprise, and National. Each program has different stipulations, but the mileage reward for all 500 bonus miles per reservation. Ride with Lyft. Earn at least 1 mile per dollar spent on every Lyft ride in the US (excluding taxes, fees, tolls and tip). Plus new users get a $20 ride credit. Europcar. This can come in handy for your next European road trip adventure! A total of 60 miles can be earned per day. Private transfers. Prefer private transfer to and from the airport? Delta is partnered with popular companies like ExecuCar, Carmel, Sixt (both rental cars and private chauffeur service), and SuperShuttle. Send flowers. Do you send flowers to loved ones and business clients often? FTD allows you to earn bonus miles on your purchases. Join a wine club. Likewise, it's possible to earn miles by joining Vinesse Wines. They offer 1,500 bonus miles plus 5 miles per dollar spent on all club shipments and orders. Your first shipment of 6 exceptional wines costs $41.94 plus 1 cent shipping. Eat cookies. Sweet tooth lovers can earn 1 mile per $1 spent at shopbiscoff.com. There's no better cookie to enjoy with your morning coffee. All you have to do is make sure to include your Delta SkyMiles number when ordering online. Shop with Gilt. Love fashion? Delta's partnership with Gilt allows you to earn 1,000 miles for your first Gilt purchase of $50 or more! Plus, you get up to 60% off your favorite labels while earning 1 mile per $1 spent. Pay utility bills. Use one of Delta's preferred electricity suppliers like Energy Plus, Georgia Natural Gas, Grand Rapids Energy, Illinois Energy, Illinois Energy Solutions, and Ohio Natural Gas to rack up miles on a monthly basis just by paying your bill. Can you earn Delta SkyMiles by doing surveys? Unfortunately, Delta has ended partnerships with e-Rewards and eMiles (two popular survey sites for earning miles). So you can no longer take surveys to earn SkyMiles. However, Delta does send out SkyMiles/Medallion user surveys and reward you miles for completing it. Disclaimer: The information for the The Amex EveryDay® Credit Card from American Express, The Amex EveryDay® Preferred Credit Card from American Express, Platinum Delta SkyMiles® Credit Card from American Express, and Delta Reserve® Credit Card from American Express has been collected independently by CreditDonkey. The card details on this page have not been reviewed or provided by the card issuer. Dining programs are a great way to earn even more credit card points. Delta's SkyMiles Dining Program will help you earn miles while you eat out. Read on to find out everything you need to know. 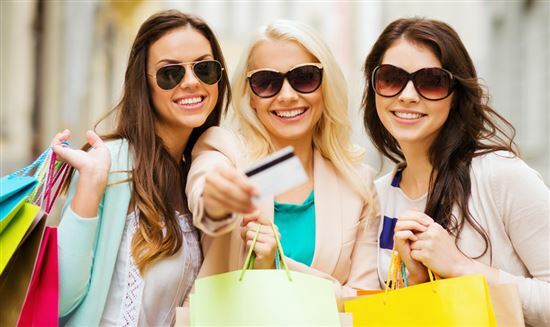 Earn extra Delta miles with Delta SkyMiles Shopping when you shop at over 250 popular stores. Here is everything you need to know about it to rack up your points faster.